Rescue workers are continuing to search a building containing a school in Nigeria after it collapsed with scores of children reported to be inside. At least eight people have died after a three-storey school building collapsed in Nigeria, with rescue crews saying that 37 others were rescued from the rubble alive. Rescue efforts are under way in Nigeria after a three-storey school building collapsed while classes were taking place. Royal Dutch Shell has said it is facing potential criminal charges in the Netherlands relating to its operations in Nigeria. Gunfire and explosions have opened Nigeria’s delayed election as President Muhammadu Buhari seeks a second term. Imperial Leather owner PZ Cussons has seen shares tumble after warning over profits amid mounting woes in its Nigerian business. Five Britons have been arrested on suspicion of a hate crime after violent scenes broke out in Magaluf between prostitutes and protesters who want them off the streets. 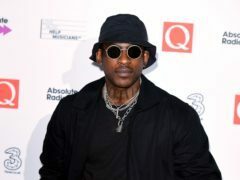 Skepta has been presented with a chieftaincy title in Nigeria. Footage has emerged of the moment terrified passengers screamed as they feared they were about to die after one of its engines allegedly caught fire mid-flight.